Sioux Army Depot was established on 23 March 1942 as Sioux Ordnance Depot. It was the only U.S. Army Ammunition Depot in Nebraska during World War II, the Korean War, and the Vietnam War. The depot was initially under the command of the U.S. Army Ordnance Department and later the U.S. Army Materiel Command. 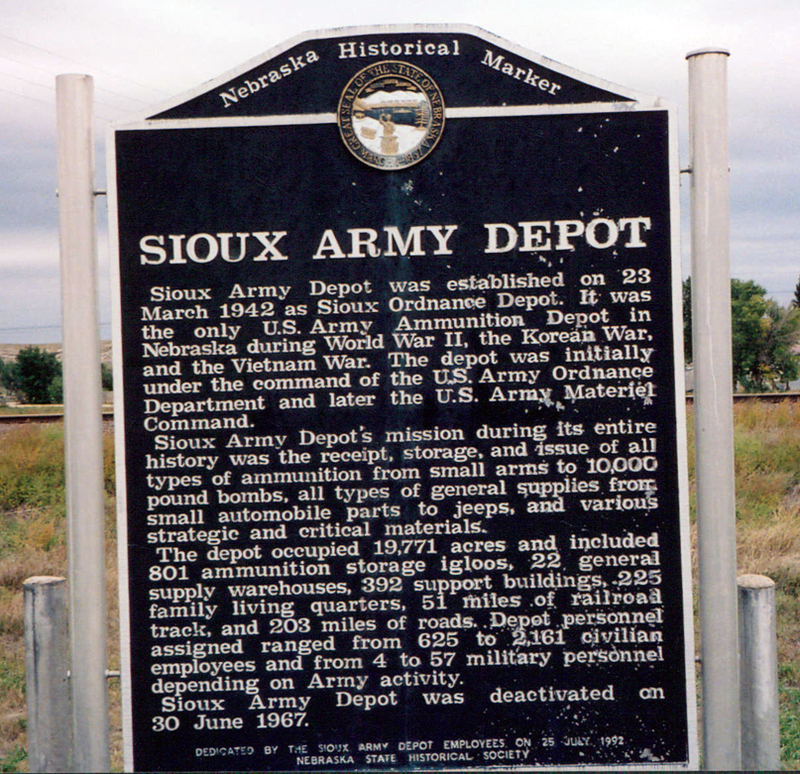 Sioux Army Depot's mission during its entire history was the receipt, storage, and issue of all types of ammunition from small arms to 10,000 pound bombs, all types of general supplies from small automobile parts to jeeps, and various strategic and critical materials. The depot occupied 19,771 acres and included 801 ammunition storage igloos, 22 general supply warehouses, 392 support buildings, 225 family living quarters, 51 miles of railroad tracks, and 203 miles of roads. Depot personnel assigned ranged from 625 to 2,161 civilian employees and from 4 to 57 military personnel depending on Army activity. Sioux Army Depot was deactivated on 30 June 1967. Dedicated by the Sioux Army Depot Employees on 25 July 1992. 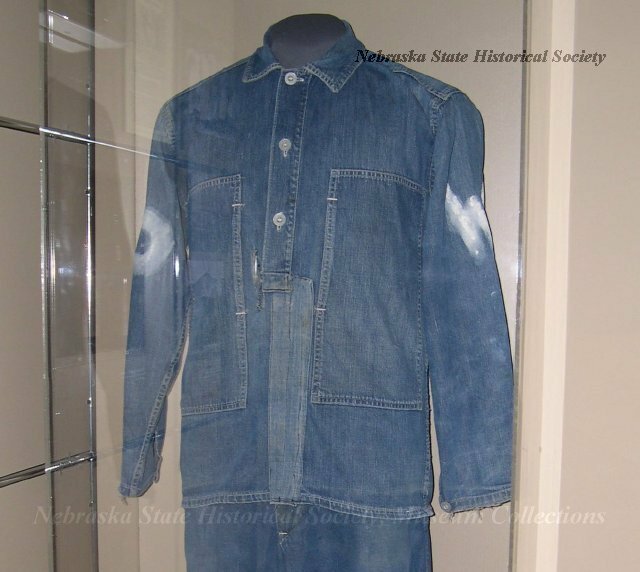 “Sioux Army Depot,” Explore Nebraska History, accessed April 18, 2019, https://mynehistory.com/items/show/71.